Château Léoville Las Cases is today among the most emblematic estates of the prestigious Saint-Julien appellation located on the Left Bank from the Bordeaux region. Its wines continue to reach the peaks of excellence and elegance vintage after vintage. Château Léoville Las Cases is recognized as one of the oldest estates in the Médoc with a heritage based on a long wine tradition. The lion statue that adorns the estate’s entrance gate makes its instantly recognisable as Château Léoville Las Cases. As a Second Classified Growth of 1855, its excellence in quality earns the estate the title of “First of the Second Crus”. The Delon family took control of the estate at the end of the 19th century and it is now led by Jean-Hubert Delon. Château Léoville Las Cases has been a model for exceptional quality consistency since the 1970s. The strength of this estate is its exceptional terroir. Château Léoville Las Cases has 55 hectares planted inside the renowned Clos de Léoville with a complex mosaic of terroirs. The Gironde River near the estate benefits the vineyards as a heat regulator. It helps to keep temperatures moderate and acts as a frost barrier. The vines grow in Günz gravel soils that is made up of a gravel-sandy subsoil on top of a deep layer of clay. This terroir is at the core of the estate’s exceptional wines that display the typicity of each of the symbolic Left Bank black varieties, Cabernet Sauvignon and Cabernet Franc. Le Grand Vin de Léoville du Marquis de Las Cases brings together the complexity and uniqueness from the Clos Léoville Las Cases plots that were part of the estate’s original domaine. 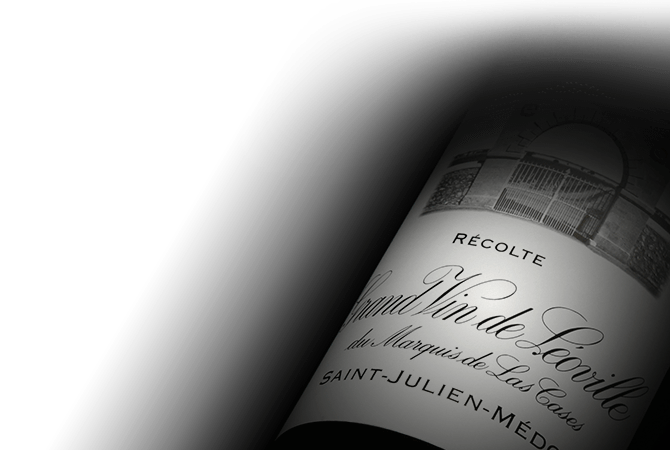 Le Grand Vin de Léoville du Marquis de Las Cases is of monumental structure and is at the height of refinement and nobility on the nose and palate. It displays a personality with unique singularity, which leaves an unforgettable impression on the memory of purists. Born at the dawn of the 2007 vintage, Le Petit Lion has emerged like its predecessors as a vintage with a strong personality that offers an intense expression of fresh fruit. In a blend that has a higher proportion of Merlot, Le Petit Lion du Marquis de Las Cases demonstrates the philosophy for the constant quest for excellence that drives the estate.